THE Philippine men’s football team failed to figure out the puzzle that is Thailand anew as it surrendered a 3-0 decision in their friendly on Sunday night at the opponent’s turf in Nakhon Ratchasima. The Azkals lost for the 14th straight time and 15th overall in 17 meetings with the War Elephants. It was a wake-up call for the Filipino booters, who plunge into the Asean Football Federation Suzuki Cup in less than two weeks. They open their campaign on November 22 against Laos. Thailand is in another group. 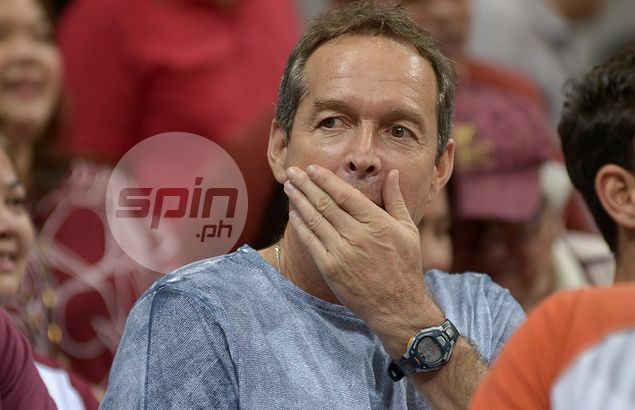 “I’m not happy that we lost, but on the other side, the Suzuki Cup is more important,” Azkals coach Thomas Dooley said. “It was a good game for us to see what we expect in the Suzuki Cup. The Thais were ranked 36 spots below the Azkals, but their low ranking belied their true worth as they leaned on an early goal before turning it up a notch in the second half to score the shutout. Mongkol Thosakrai opened the scoring with a header 30 minutes into the match, before Prakit Deeprom doubled the lead in the 54th minute. Kroekrit Thawikan put the exclamation point with another goal 20 minutes. Dooley inserted Filipino-Spanish defender Alvaro Silva in the starting lineup for the first time, while letting 33-year-old Filipino-Japanese midfielder Satoshi Otomo make his debut after coming in as a halftime sub. The Azkals return to action on Friday when they face Cambodia at Rizal Memorial Stadium in their last home stand before the Suzuki Cup in Vietnam.